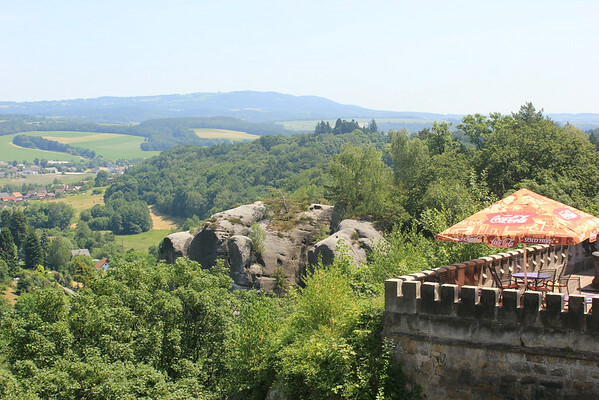 For years, friends had been telling me about the beautiful area of the Czech Republic called Český ráj, or Bohemian Paradise but I had never found the free time to go while living in Prague. Our original plan was only to go camping there for two nights but I found what I thought was a great deal on booking.com and we decided to stay in a hotel instead of buying camping equipment and attempting to fit it in our already packed full car. And so we ended up in the tiny town of Libošovice. When will I learn that “great deals” on hotels rarely are? We arrived around 3pm and found the hotel closed. A call to the number listed on their website got us a confused sounding man who informed us that the hotel is always closed on Mondays and he doesn’t know how the mistake was made. He says that he can come and open for us as soon as possible. This is a tiny town. There is only the hotel and a small shop next door. Fortunately, the shop had a small seating area in the front and sold Svijany beer in the bottle. So we wait and then we wait some more. The hotel employee did not show up until after 4pm which turns out to be the time that he opens the hotel bar every day. 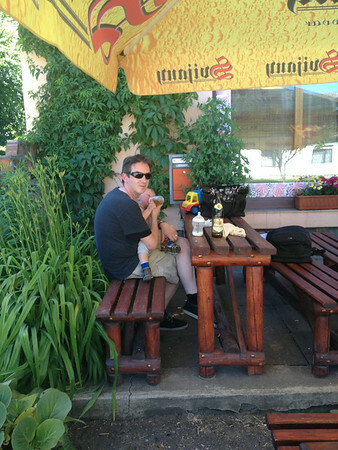 Waiting for our hotel in Libošovice to open. The dinner possibilities in the hotel bar/restaurant didn’t look very promising so we drove to the larger town of Turnov, 15 kilometers away. If you are going to Český ráj, don’t be a cheapskate like me, just book a hotel in Turnov and you will have many more bar and restaurant choices. 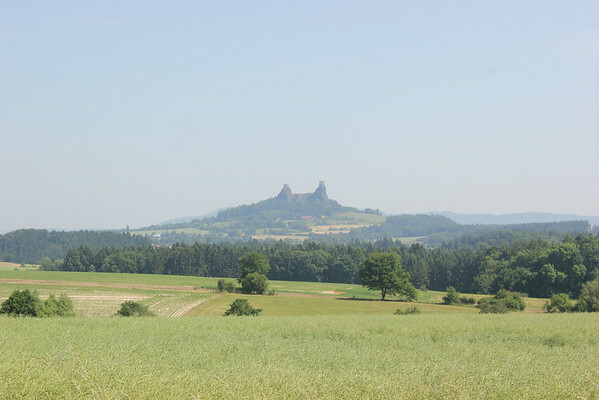 Many of the sites you will want to visit are located a short drive from Turnov. The hotel staff gave us a key to the front door and then I’m 90% sure that they went home for the night. We were the only guests in the hotel. The bar/restaurant closes at 9pm or earlier if the staff feels like it. 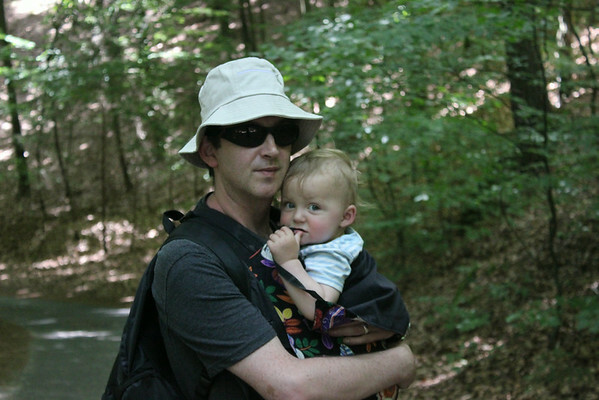 Hiking near Valdštejn (or Waldstein) Castle. A lone tree thwarts my attempt to take a photo of the sandstone rock formations. The ruins of Trosky Castle (Hrad Trosky) in the distance. There are eight castles, or ruins of castles, in the Český ráj area. We chose to only visit Valdštejn Castle and Kost. 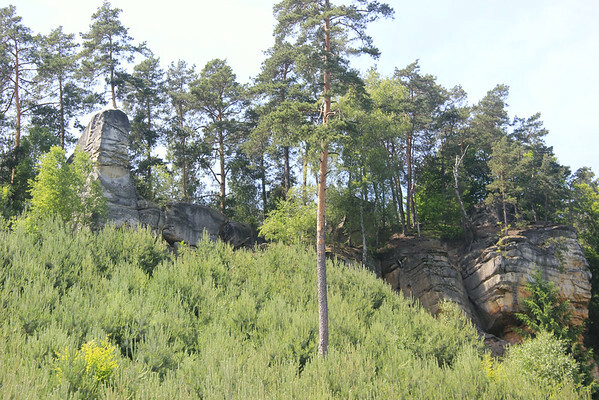 Valdštejn Castle is located near the Hruboskalsko rock formation so you will probably stop there. 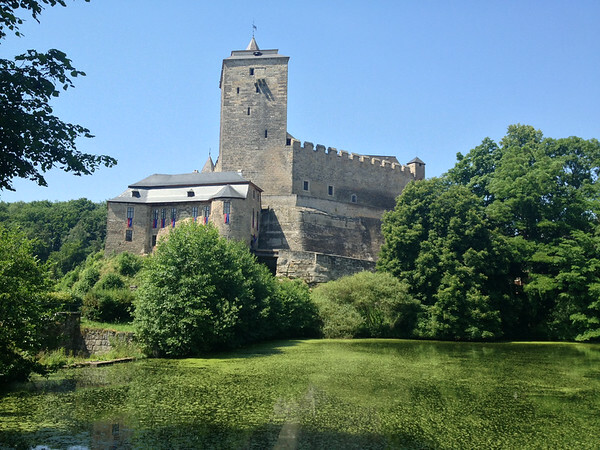 I didn’t think the castle itself was impressive but the views were lovely and it is a good place to stop for an ice cream or a beer after hiking. Kost Castle in Jičín,, Czech Republic.